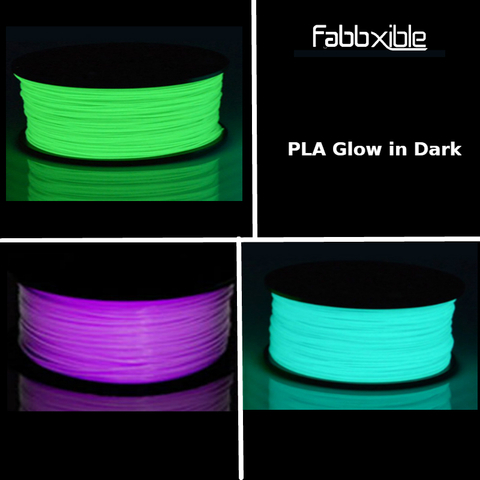 PLA Glow in the Dark is mixture of PLA and phosphorous particles to create material that absorb UV and glow at dark environment. Good in layer adhesion. PVP glue recommended for better first layer. 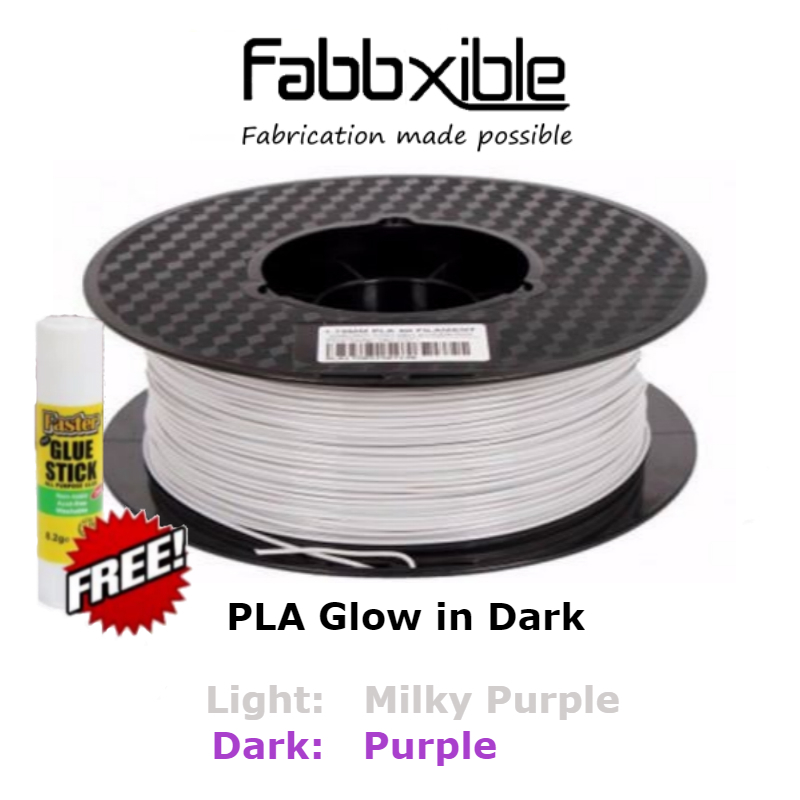 Useful for night party decoration, Halloween, cosplay props. 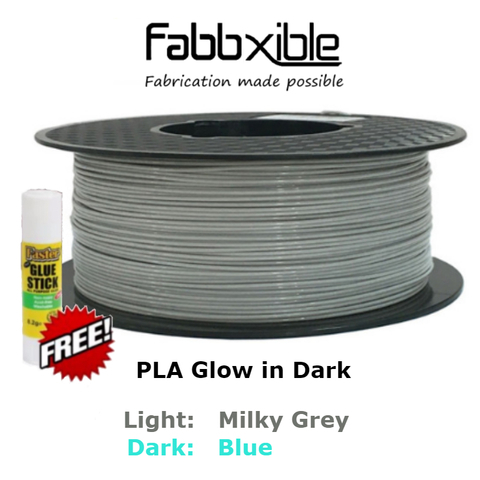 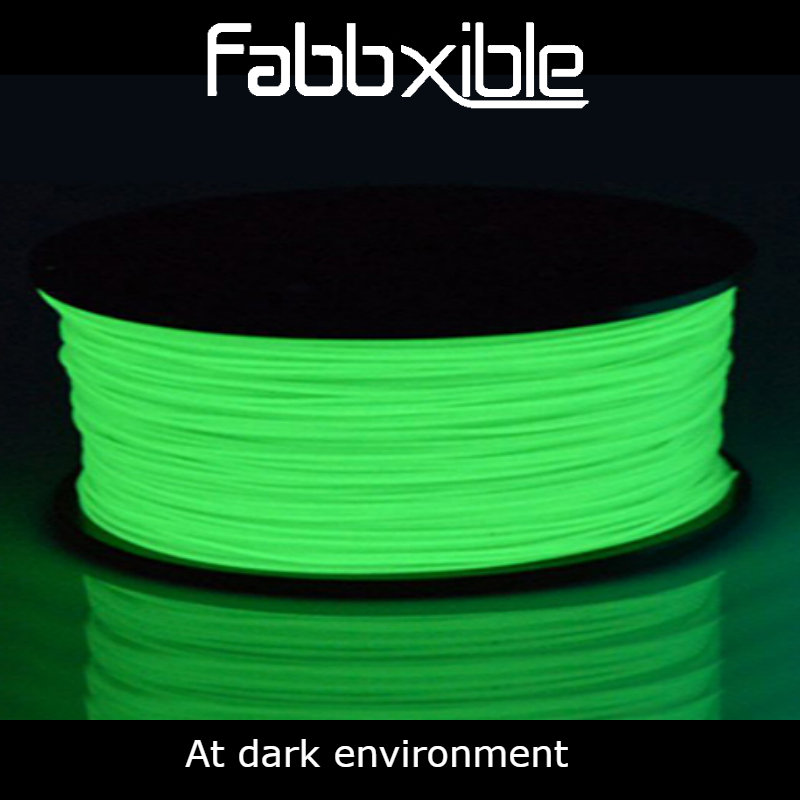 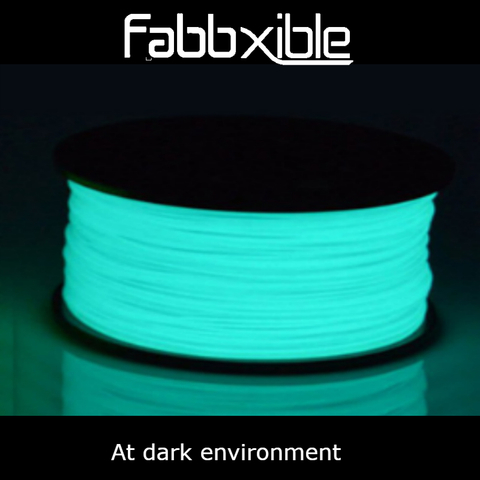 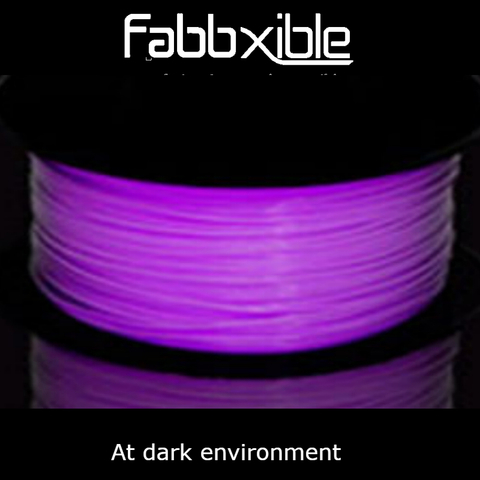 Please be aware that Glow in the Dark filaments contain a relatively high concentration of extremely hard phosphorous particles, which have an abrasive nature. In general these phosphorous particles will accelerate the nozzle-wear of brass nozzles, much faster than unfilled filaments. We recommend to use nozzles from stainless steel, titanium or tungsten.